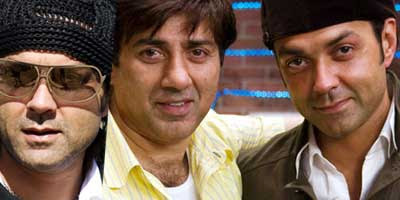 It is not just Khan brothers - Salman Khan and Sohail Khan doing their bit in movie 'Heroes'. Even Deol brothers feature in this mega starcast flick. As always Sunny Deol looks simple. While Bobby deol gets some style with jazzy head gear and dressing. Checkout first look of Deols from Heroes.